A hearty, but simple chicken soup. Perfect for healing the sniffles all winter long. I don’t know about you, but man – it’s brutally gray and cold here in Northern California and cold season is in full swing. 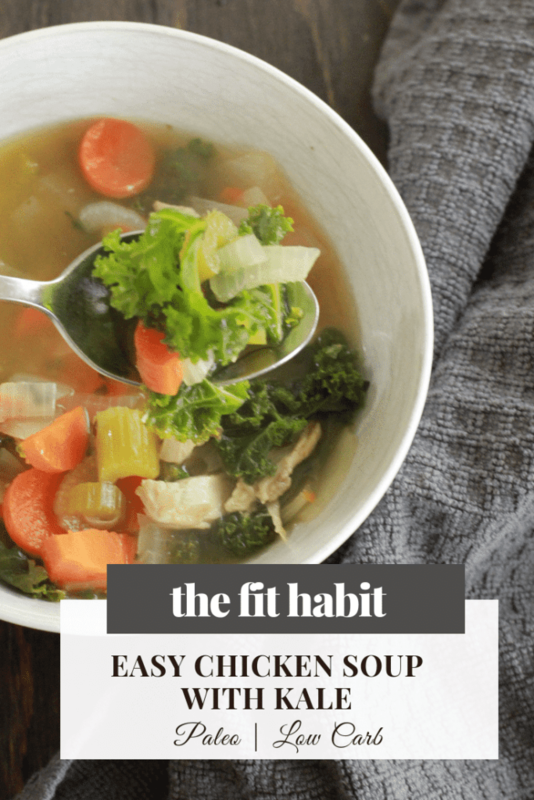 With that, I thought I’d share a super simple chicken soup recipe that can be made in around 20(ish) minutes. 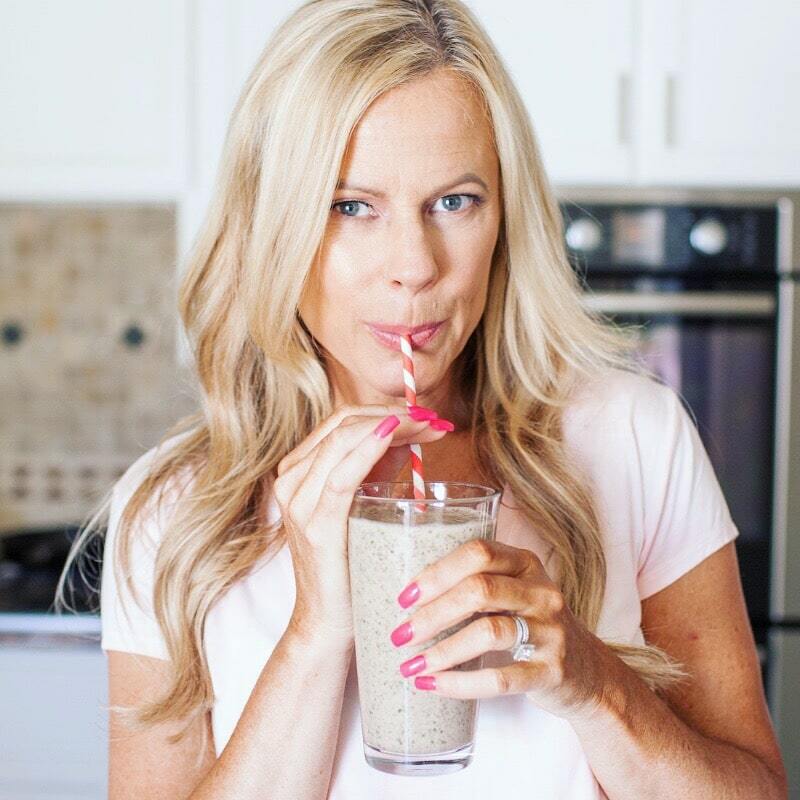 When you’re sick, or worse – when your husband acts like a 4-year-old because he has a cold, you need fast and simple. This soup will not disappoint. Side Rant – why do men act like the sky is falling when they get a sniffle? 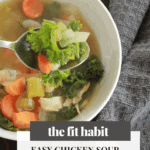 There’s actually science behind the immune-boosting, mucus-clearing benefits of chicken soup, but I won’t bore or gross you out with deets about white cells and upper respiratory relief. Rather, I like to believe that anything made with love has the potential to heal another person because the intention of care is transferred from the soup-maker to the soup-eater. I’m not sure if the same applies to chocolate cake, but if you venture to try, let me know what you find out. Well, the honest truth is that I had it on hand and it was going bad. BUT, it’s also an ideal green to add to soup recipes. It’s an instant vitamin and antioxidants boost without a bitter flavor. Also, kale is one of the few leafy greens that will stand up to the heat of soup because of its hearty texture. Just make sure you’re cutting it into bite-sized pieces. Nobody wants to fish a giant soggy leaf out of their soup bowl. If you don’t buy your kale pre-washed and chopped (as I do), then use a mezzaluna knife to get it well chopped. They’re so fun! The other day I sent this “self-discovery pop-quiz” (aka, survey) out to my readers. I’m honing in on what you’re looking for help with this year, and I’d appreciate your thoughts. It’s a super-short quiz and you’ll get a chance to win a life-changing, awesome tool for self-actualization (aka, a book). Would you mind? Thank you! At the risk of sounding like a broken record, it’s all about the salt, my friend. If you’re on a low-sodium diet, please skip over this section. There’s nothing for you here, love. But if sodium is your jam (and if you’re low carb or Keto, it probably is), then you’ll want to invest in Maldon flaked sea salt. Friends, this isn’t any sea salt… this is THE sea salt that will make all your food taste like it just came out of a gourmet kitchen. I came across it at a restaurant, and it automatically made the taste of everything I ordered jump from an 8/10 to a 14/10. Want more great soup ideas? 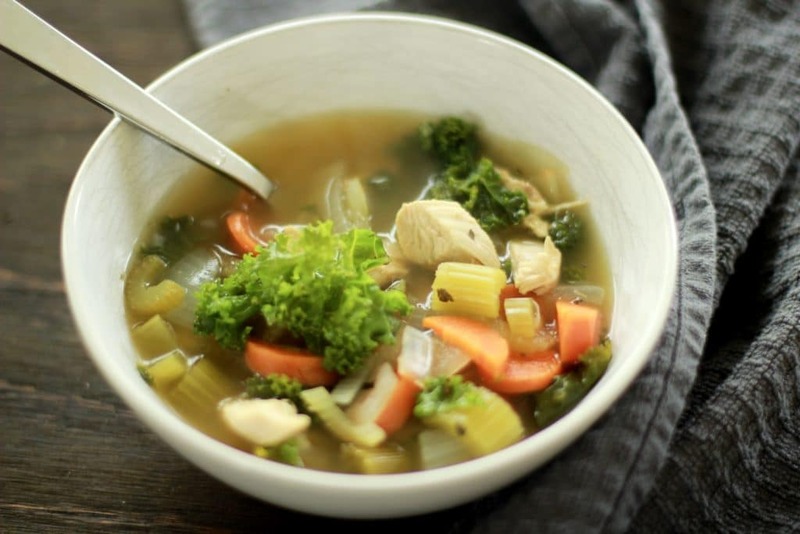 A simple, healing soup for warding off colds and keeping you warm throughout the winter months. .7 lbs of chicken breast about two small breasts - you can cut this into bite-sized pieces or wait until it’s cooked, then pull it out and chop. 1 cup finely chopped carrot - thin slices is key! In a medium or large pot, add the chopped onion, carrot, celery with chicken, vinegar, lemon, and bay leaf. Let simmer until chicken is cooked - about 10 minutes. If the chicken isn’t cut up, now is the time to take it out and do that. Otherwise, move onto the next step. Add broth, basil, oregano and let simmer a few more minutes. Add salt and taste to your liking. You can add more salt, lemon juice or vinegar to suit your taste. Once the broth is just right, add the chopped kale and stir in. Turn off heat and let stand for a few minutes until kale is cooked (that won’t take long).